Sure it's true that this paint can be a little bit finicky when it comes down to predicting its behaviour. 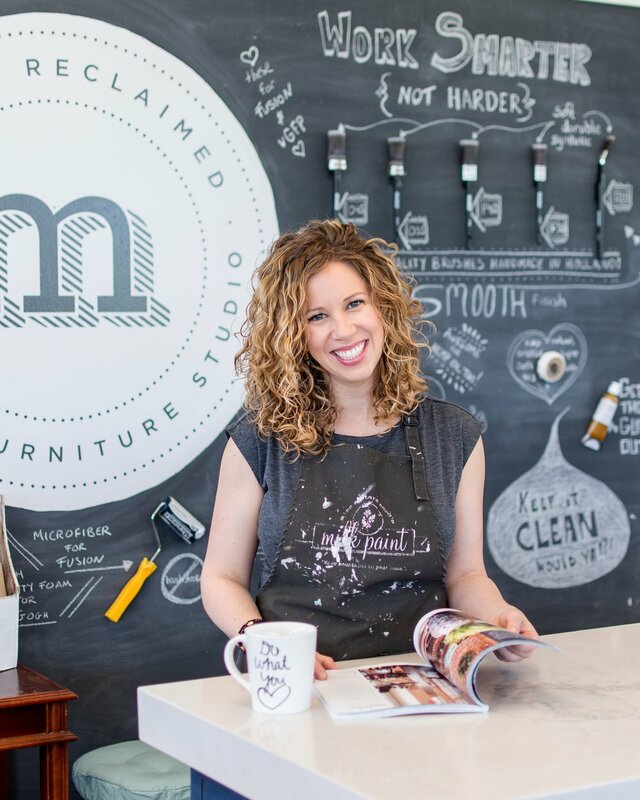 . . but I also am a firm believer that most 'accident's' or unpredicted outcomes when restyling furniture can really add to the finished character and charm of a piece. 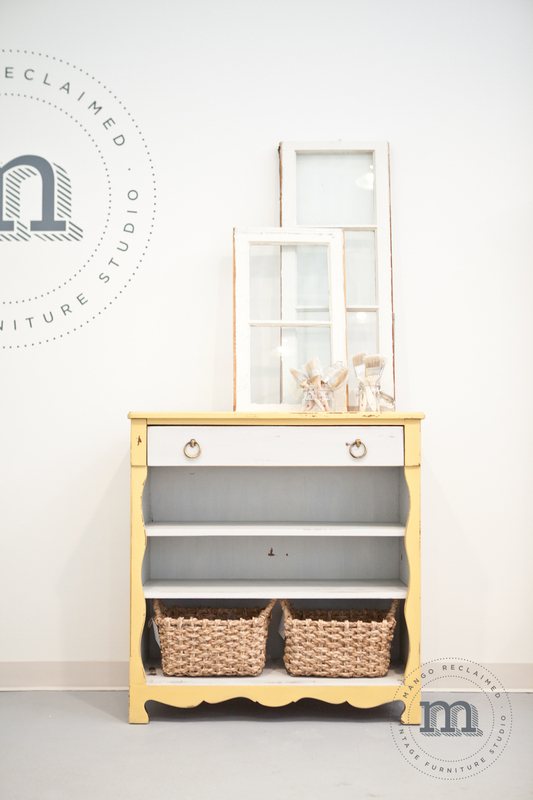 It's almost like the furniture and the paint work together to decide what the finished product will look like. 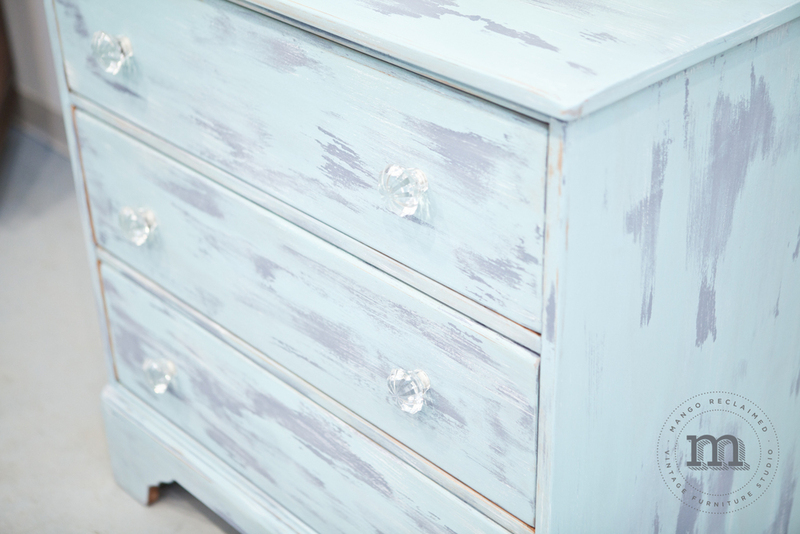 Take this beautiful beach inspired dresser for example. 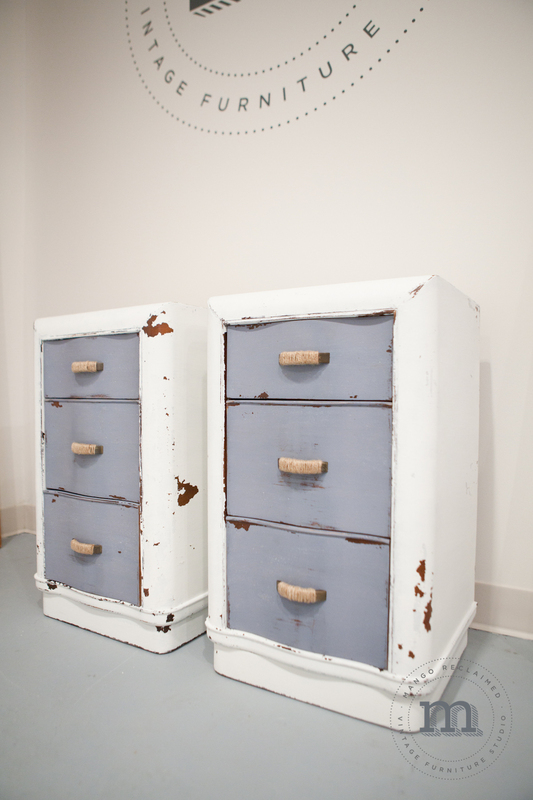 I began by painting her with some Miss Mustard Seed's Milk Paint in Eulalie's Sky - a stunning blue! Fun fact: Eulalie's Sky was named after the sky in this painting (above), of a cow named Eulalie. This painting is one of Marion's favourites. (aka: Miss Mustard Seed). 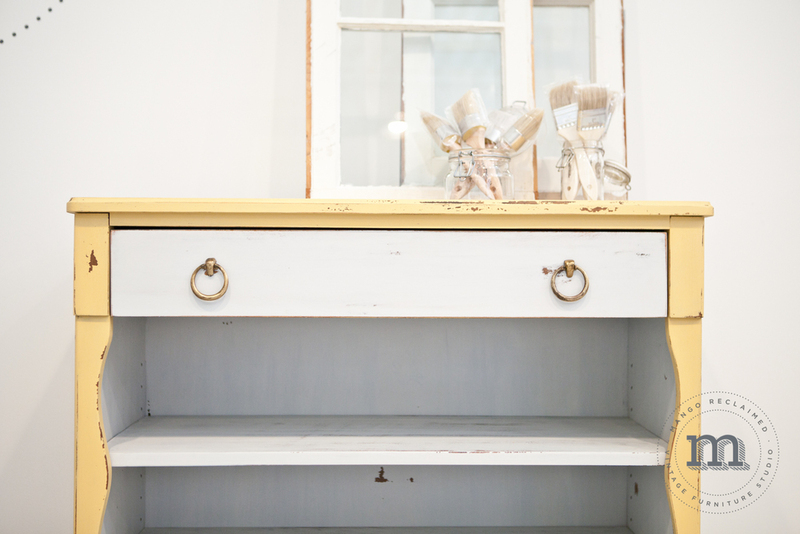 Once the blue had dried, i brushed hemp oil all over the dresser to create a resist between the first and second colour. Then I painted right over that hemp oil layer with some beautiful Dried Lavender. The hemp oil layer acted as a fantastic resist allowing the Dried Lavender to adhere only in sporadic areas so that lots of the gorgeous Eulalie's Sky could shine through :) As a final painting step I used Miss Mustard Seed's Grain Sack to dry brush some highlights over the entire dresser. 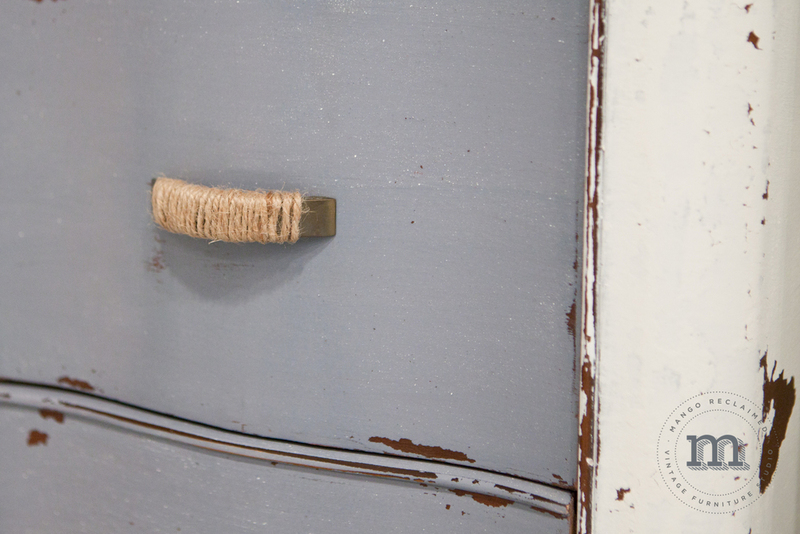 The result of these three colours working together is this beautiful and full of character dresser. 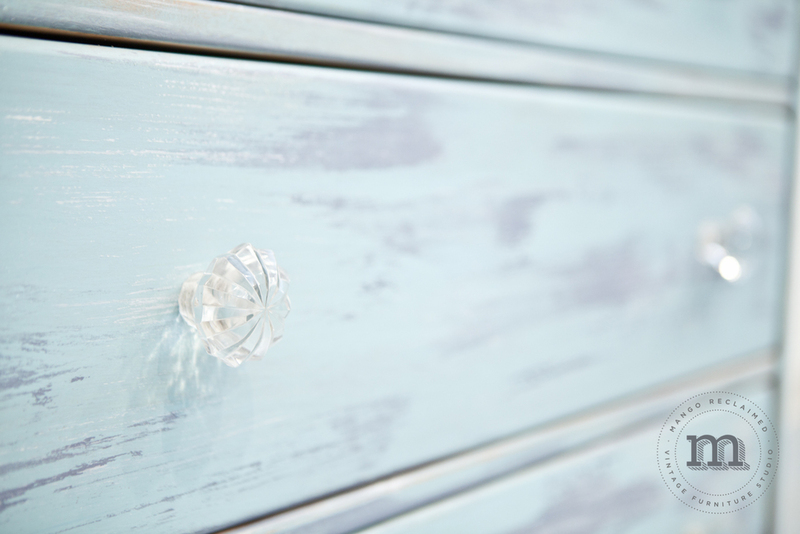 Of course, some stunning glass knobs from Mango Reclaimed also helped to finish the look! What do you think? 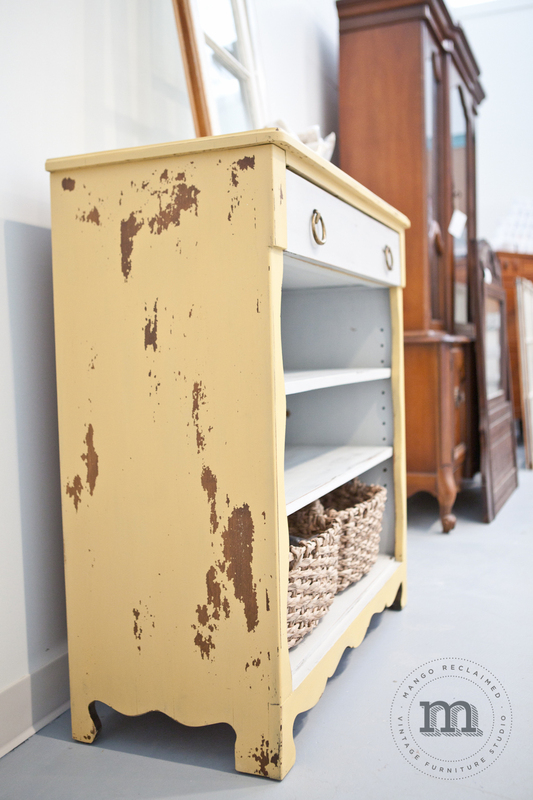 I would love to hear what you think about Miss Mustard Seed's Milk Paint - have you tried it yet?? 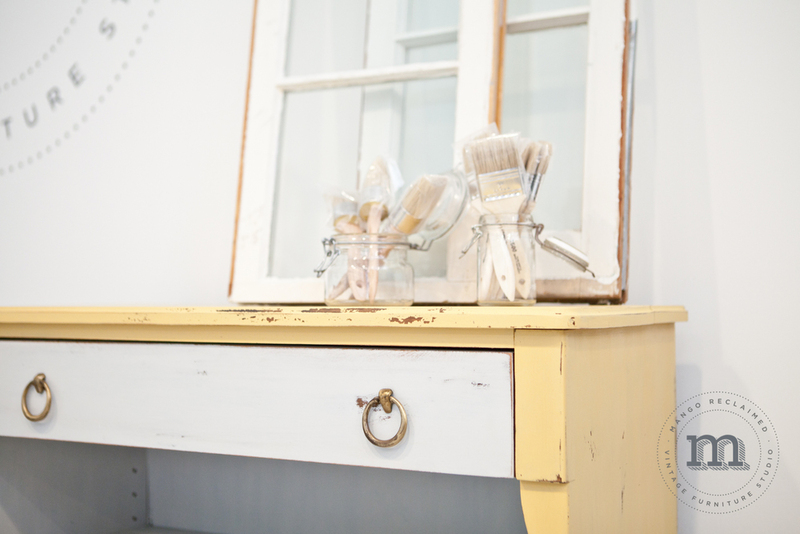 Keep an eye out on our 'workshops' tab to see exciting new classes coming soon!